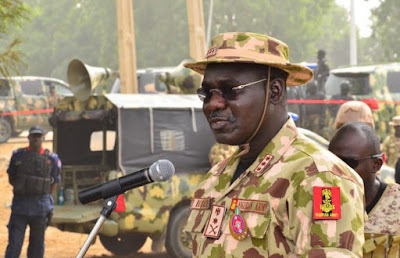 Chief of Army Staff, Lieutenant General Tukur Buratai, has said that lone the government of Nigeria, has the constitutional appropriate to announce the leader of the Indigenous People of Biafra (IPOB), Mazi Nnamdi Kanu, wanted. Buratai likewise discredited claims that the Army is under any pressure, to pull back troops from South-East. He gave the announcement on Monday, after the opening of the second from last quarter Nigerian armed force gathering in Abuja. As far back as the dispatch of Operation Python Dance in the South East, many have required its termination, particularly after some military staff conflicted with IPOB members in Umuahia and Aba in Abia State. Senate President, Dr. Bukola Saraki and the spouse of the late Biafran warlord, Bianca Ojukwu, have denounced the Army's naming of IPOB as a psychological militant association, portraying such order as unconstitutional and outlandish. 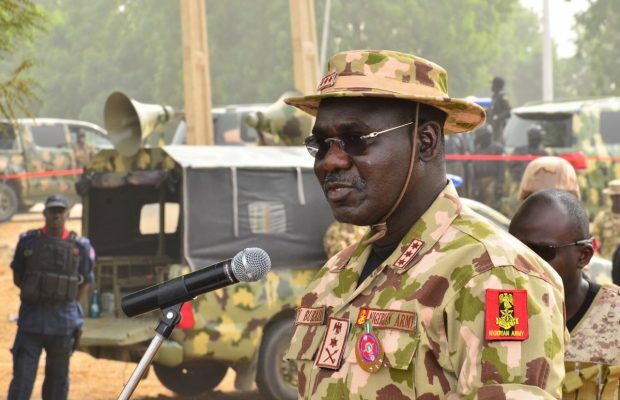 In any case, Buratai discredited suggestions that the armed force is under pressure to pull back troops from the district and demanded that they were acting inside the purview of the constitution. "Nigerian Army is a piece of the political thought in the vote based framework. It is a piece of the fair procedure. It is a result of the law based governance. Thus, we are not under any pressure. "We are doing what the constitution has given. So we are not under any pressure at all," he included.